Comments are great for an IDX real estate website. They allow your readers to engage with you and with each other. This helps build a sense of community, and it keeps leads browsing. As the owner of an IDX real estate website, you should both encourage comments and limit them. This can be a tricky balance. How do you create a place where people comment freely without fear of abuse? In this article we’ll cover some best practices for managing comments on your IDX site. If you like what you read or you have feedback from a personal experience, leave your own comment below. Let’s start with some tips for encouraging comments. The first step to encourage comments is to create strong, unique content. Obviously, people need something to comment about. 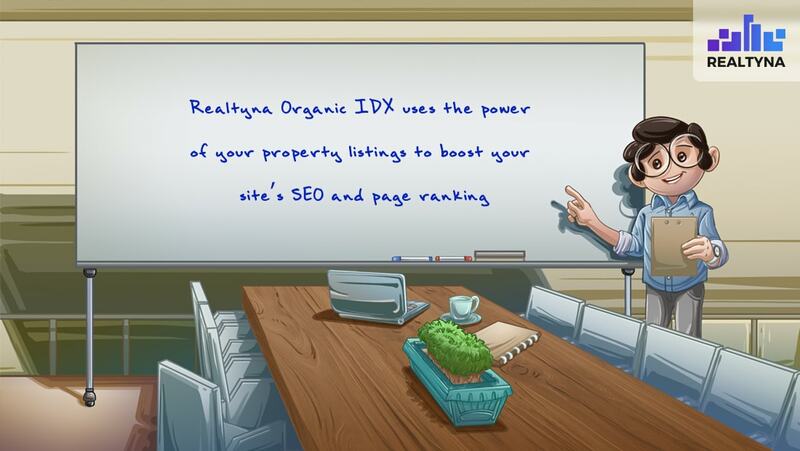 You can provide this through your blog posts, videos, and listings. But your content needs to be high quality. If you want to generate more comments than your competitors, your content should be better than your competitors. Calls to action are shown to increase comment rates. This is why you see so many YouTubers asking their viewers to comment below. Don’t hesitate to incorporate calls to action in your own content. This can be as simple as an extra sentence in your blog where you ask readers to comment if they have questions or feedback. If someone comments with a question, respond to it. This will build a connection between you and a potential lead. And it will demonstrate to others that your comments can be a constructive place for people to learn. Now that we’ve covered how to encourage comments, let’s take a look at the other side of the coin. It does not take much for your comments to descend into negativity. So here are some techniques to limit the types of comments you don’t want. Unfortunately, some people take it too far through abusive language or the targeting of others. To counteract this, it is a best practice to require approval before a comment publishes to the web. Another way to reduce the prevalence of negative comments is to force people to login. By putting a few steps between someone’s thought and their comment, you can reduce knee-jerk reactions. This has the added benefit of allowing you to collect information about your leads an add them to your mailing list. 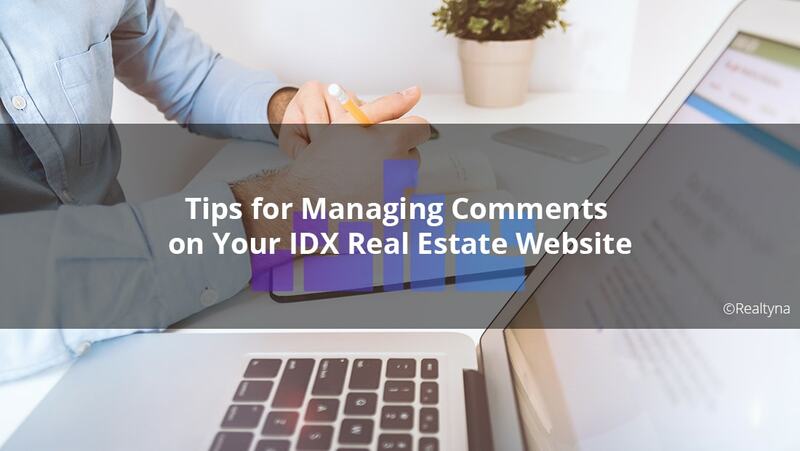 A comment policy will set the ground rules for commenting on your IDX real estate website. It also will help you make decisions regarding which comments to permit and which to block. Your comment policy should be thorough and detailed. The more clarity you can provide on the rules, the more likely people are to follow them. Most comment sections are made up of a handful of regular contributors and a smattering of first-timers. Because they contribute most to your site, you should take care of your regulars. You can do this by blocking comments that are overly critical of them. You can also offer contests or rewards that favor regulars. You are likely to catch flack for creating rules or deleting certain comments. Simply ignore this. The benefits of a positive, flourishing comment section far outweigh the negatives of a few peeved readers. Ultimately it’s your site, so you make the rules. If a comment falls outside your comment policy, or even if you are uncomfortable with it you are within your right to remove it. If you want more advice on blogging and comments, check out 12 Ways to Generate New Real Estate Leads From Old Blog Posts.